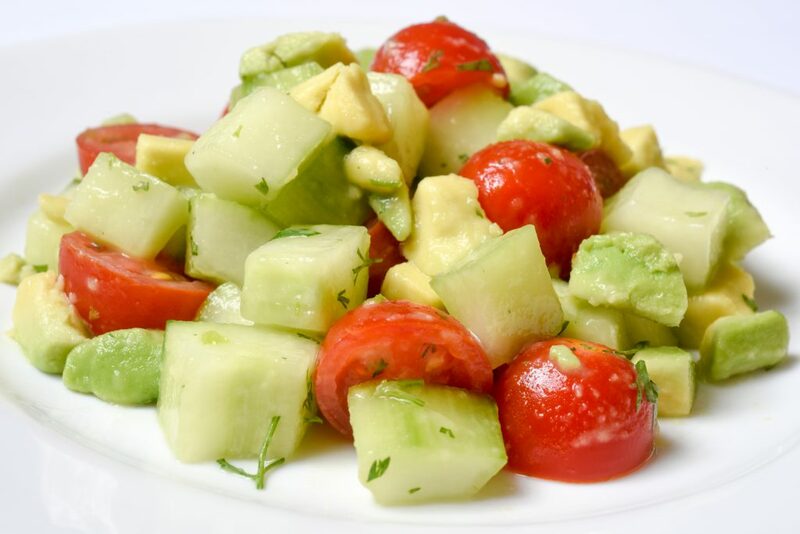 This simple salad is really delicious. The process of hand mixing and slightly macerating (slightly crushing) the avocados makes it a bit creamy. You can alter this recipe and use different vinegars based on your taste. Mix all ingredients together, using clean hands mix to slightly macerate the avocados. You can do this in a zip top plastic bag or in a bowl.